Conan O’Brien has long been my favorite late-night TV host. I watched the very first episode of “Late Night with Conan O’Brien” in my college dorm (gawd, I’m OLD). 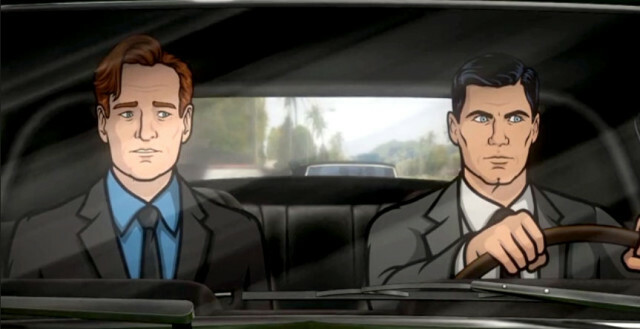 And it’s stuff like this that keeps me coming back: http://teamcoco.com/video/conan-archer-team-up Glorious.